Imagine you are on vacation in Paris or another place of your choice (preferably somewhere where you have a limited understanding of the language) and everything is going great until BAM! Your side starts aching or your blood pressure is skyrocketing, or something hits you or that pain somewhere just won’t go away. You try to convince yourself you’ll be fine because you only have an x number of days before you’re home and then you’ll be able to see your doctor, because you really want to avoid an unexpected trip to a foreign doctor or emergency room. But, then you realize that it might actually be better to go to that foreign doctor who might not speak and understand English (even though most have a working knowledge of English, but you still might not understand what they are saying). Or worse you may need the emergency room and maybe an overnight stay or more at a hospital that doesn’t, at all, remind you of home. Doesn’t that sound lovely??? Actually I had an emergency surgery while in Turkey last August and just last week my mother-in-law spent the night in a French hospital after her blood pressure skyrocketed. She told me that she would’ve preferred “to die” at home in our house than spend another night in the hospital. I understand what she means. French hospitals are a rather interesting adventure. My mother-in-law’s ordeal was rather short compared to mine so I’ll share hers today and another time I’ll share mine. She’d been complaining of a headache all weekend. I decided that since we went on an overnight trip to Metz (a 6-hour roundtrip by car) on Saturday-Sunday and then got back in time for a loud Turkish wedding on Sunday that she was tired and worn out. So I took her blood pressure on Monday morning and it was all good, in the evening though it was super high. Right away, my husband realized that we needed to go to the hospital and we left the kids with neighbors and away we went. We waited and waited because it was packed. It was like everyone decided to get sick on the day we went. It didn’t look this hospital below…we are in France after all and just like you have to wait in line for everything else, you have to wait in the ER (urgences) for a while no matter your emergency. Finally, we got news after hours of waiting that she would need to spend the night in the hospital and have an MRI (IRM) in the morning to reconfirm a brain aneursym or something else. Finally, we got news after hours of waiting that she would need to spend the night in the hospital and have an MRI (IRM) in the morning to reconfirm a brain aneurysm or something else. Of trying to get up out of bed to go to the bathroom because she wanted to get some exercise (my mother in law is always busy doing something aka she doesn’t sit still well) only to be given a bed pan and told she didn’t have the right to get up and walk around. Also, when the nurse came to change the serum solution, my mother-in-law made a signal that she was thirsty and then asked for de l’eau (she said that thanks to Fatima she had at least learned the word for water). Anyway the next day, my husband was able to go around with her and get an MRI but he was kicked out of the room multiple times even though they needed a translator. Finally, she was released late on Tuesday. She should keep her blood pressure in check but we were advised to see a neurosurgeon next Monday. My mother in law has already decided that if she needs surgery – she is doing it in Turkey – because she speaks the language, she’d rather be home and the cost. We got the bill for the “two days” in the hospital and it was the same price as my plane tickets home to Kentucky for Christmas. 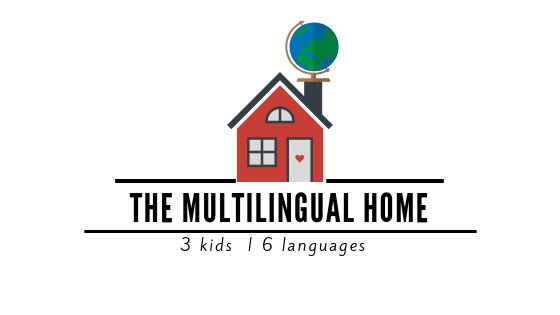 My advice when travelling abroad is to keep a list of doctors who speak English (your country’s consulate might be able to provide one or IAMAT, a non-profit organization) as well as a hospital in case of emergency. Also, purchase a picture dictionary so that in case you are unable to say what the problem is in the native language, you can at least point to pictures. 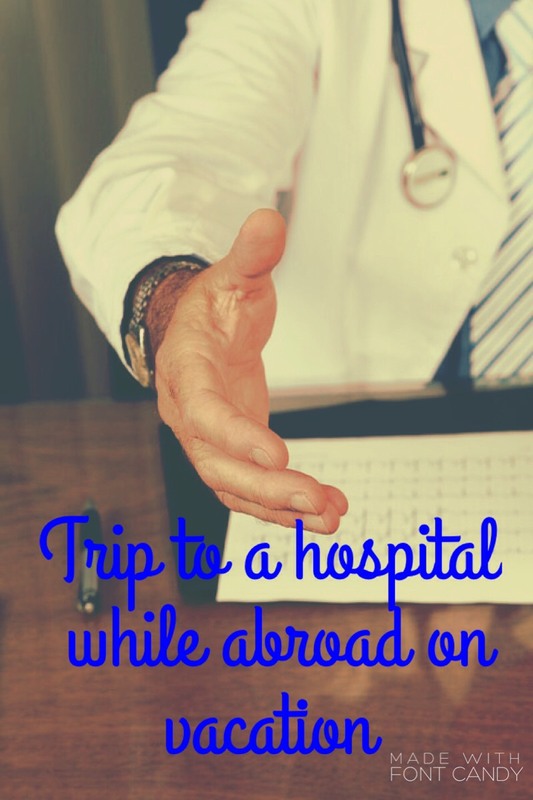 Do you have a story to tell about an adventure in a foreign hospital? Any other tips?